A uniquely produced demineralized water with monatomic, diatomic and nanoclusters of platinum in super purified water containing 10ppm (parts-per-million) of negatively charged platinum particles. Particles vary in size from 0.278 to 5 nanometres. This precise ratio (particle size and ppm) is crucial for maximum effect of the nanoclusters of platinum. Product of Holland. 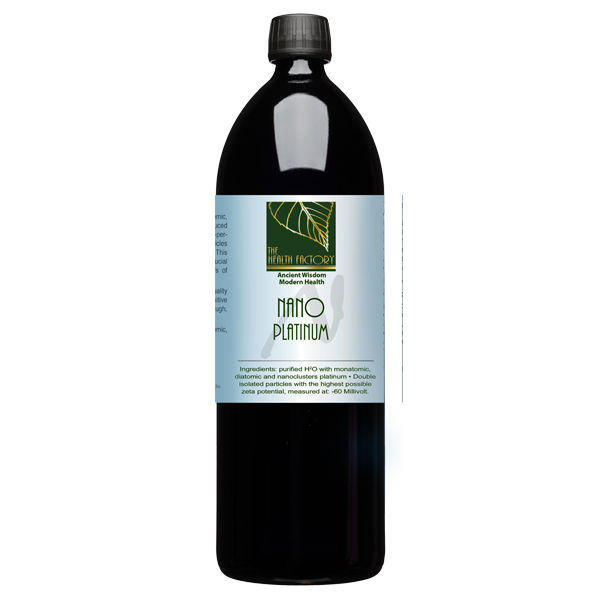 Packaged in the highest quality dark violet glass bottles which allow only positive infrared and ultraviolet light to pass through, resulting in longer shelf life.